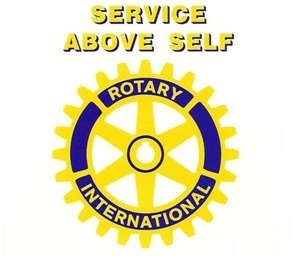 This Rotary Year Plans etc. Photo Galleries Membership Sports and Admin Communication Projects and Service Good causes we support Youth Foundation This Rotary Year Plans etc. Three routes 12, 33, 54 Kilometres using Yarrow and Ettrick Valleys. Starting and Finishing at Selkirk Cricket Club. Results Below 2018 - Many thanks to all those who Entered and to all who Marshalled. Please read Terms and Conditions Below, by Clicking to Enter you are accepting these. The Rotary Ride is all about enjoyment, but with some testing climbs for the enthusiasts!! If you’ve never done an event like this before, then this will be a perfect opportunity to have a go, in a relaxed atmosphere. If you’re training for a bigger event it’s a good way to see how you cope with some good climbs! Open to all riders over 16 years old (over 18 for the 50 km) under 18’s must be accompanied by an adult. There is a choice of 3 circular routes 12km / 20km / 50km. The routes are mainly over quiet back roads. This is NOT a closed road circuit but it will be clearly signposted throughout. Sign on is at Selkirk Cricket Club on the Sunday morning (24th June) from 8:30am. Any riders under the age of eighteen must be accompanied by an adult at all times whilst the entrant under 18 is participating in the route. You must sign in to receive your number board. Groups of riders will be set of in “waves” of 15 to 20 at 2 minute intervals from 9:30 to 9:45am. Results will be posted on the Rotary Club of Selkirk Facebook page after the event. A sweeper will follow the last riders round each route to check everyone gets round OK. There will be a refreshment station on each of the 20km & 50km routes. Food, water, teas & coffees will be available at the finish. By entering the event you acknowledge it is a test of your physical stamina and your capacity to complete the route you have chosen to ride. You must consider yourself fit to participate and complete the event. If you are unable to attend for any reason, sorry no refund can be offered. You can however give your place to another rider. It is the entrant’s responsibility to inform us of this transfer. A cut-off date for this transfer will apply and will be notified on our face book page nearer to the event. An approved cycle helmet, conforming to CE standards EN1078 (or better), is worn at all times whilst riding during our event. As encouraged under British Cycling Guidelines for Non-competitive Events. All riders are recommended to carry drink bottles, snack food, basic tools and at least one replacement inner tube. We also advise that riders carry ID. A mobile phone is advised in the event of an emergency, although various locations on the routes will have poor (sometimes none) signal reception. You are requested to ride in single file where appropriate, to be aware of your fellow cyclists and most importantly other road users. Detailed route information and maps will be available and route will be well marked but navigation during the event will be your own responsibility. On completion of the event, you must check in at the finish at Selkirk Cricket club. The event will take place regardless of weather conditions and only be cancelled or the routes modified if in the opinion of the police or the event organisers an entrant’s reasonable safety is at risk. 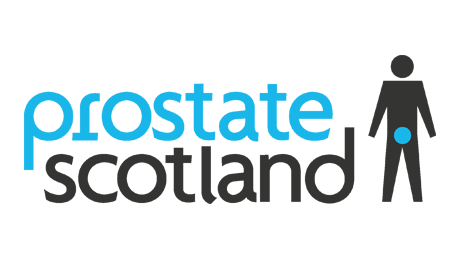 If the event is cancelled or if you are unable to ride the event there will be no refund of entry fees, they will still go to Prostate Scotland. PayPal entry Closed, Please come along for 8:30am to Selkirk Cricket club Entries will be accepted On Sunday 24th June 2018 there. Many Thanks. Information about Bike Safety Click image below.